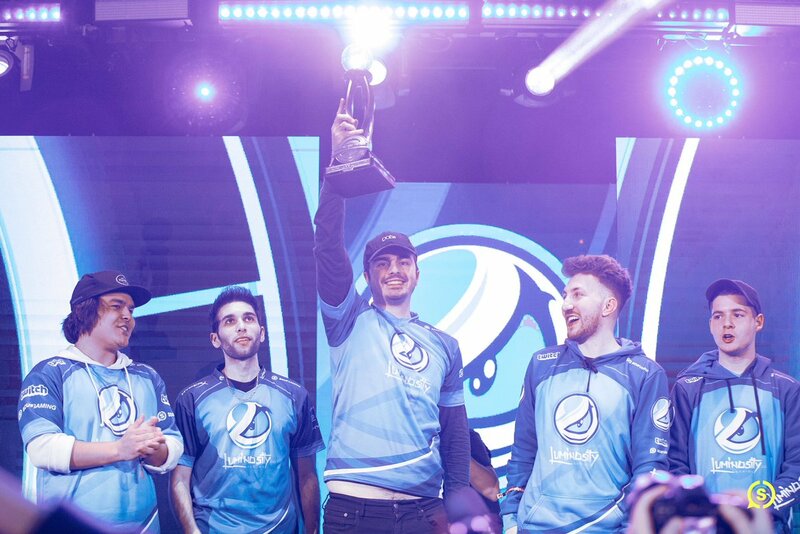 Luminosity Gaming’s impressive victory at CWL Fort Worth felt like a long time coming for this roster, which is undeniably full of some of the best players to ever grace Call of Duty. Another thing that felt incredibly deserved was Peirce “Gunless” Hillman being named the MVP of the event. Putting up strong individual performances all weekend long with multi-kills seemingly coming from nowhere at the most surprising moments, he undoubtedly earned the award. Just minutes after brandishing his trophy on the main stage in front of a packed audience, Gunless spoke to us about how he was feeling after the victory and explained that he always had faith in this roster. It’s been nine months since your last event win, how does it feel? Winning is the best thing ever, you put in countless amounts of hours just to chase this feeling. Nothing’s really going through my head besides happiness, it’s worth the grind. Were you expecting to be crowned the MVP? I think Classic and FormaL were playing incredible in the grand finals and throughout Sunday in general. Overall though, I wasn’t really thinking about getting MVP – just winning. Did you ever lose any faith in this roster after the drought in wins? Not really, we just stuck it out. We went 3-4 in the Pro League and thought that wasn’t really our best performance there, we started off really sloppy and didn’t do the same amount of research as other teams were doing on us. We decided to do more research on teams, figure out the strengths and weaknesses as of us as team, and play our own game. It seemed to work out! What made you play so well at this event, was it just putting in the practice? I’m not sure. Once we won the Championship Bracket finals, I felt good. I don’t think I’ve lost a grand finals coming from the upper bracket ever before so I was pretty confident that even if we lost the first best-of-five series, that we could take it in the second. The thing that probably separated me from the rest of the competition was just playing the game 24/7 honestly. Was the grand finals match-up easier or harder than you expected based on your previous games against Splyce? They definitely put up more of a fight in the second series of the day. The first two Hardpoints in the group stage were pretty much a blowout, they were playing our game and running into us. The best-of-five series in the grand finals was harder, for sure. How are you going to celebrate winning and being awarded the MVP trophy? I believe SCUF Gaming is taking us out for a steak dinner so I’m definitely looking forward to that, it’s always nice that when you win you get that type of luxury. I can’t wait!